Officials are appealing for calm during the campaign period ahead of upcoming historic elections in April as insecurity remains a major concern in Southern Sudan. Electoral campaigning in the highly charged contest opened on 13 February, two months before three days of polling from 11 April, with the results due a week later. Officials have called on politicians not to raise ethnic or political tensions in a region already reeling from violent clashes. “During this period of campaigning, let this period be peaceful - let them not use inciting words that will lead to public disorder,” said Jersa Kide Barsaba, a member of the South Sudan High Election Committee. “Let them not hate each other as parties, but let them come as one people who are Southern Sudanese, so that these elections will end up as peaceful,” she added. The elections are a key part of the 2005 Comprehensive Peace Agreement (CPA) that ended Sudan’s 22-year long civil war between north and south, in which an estimated two million people died. But tensions remain high in the south, with several inter-ethnic clashes between rival groups. More than 2,500 people were killed and almost 400,000 displaced in 2009. The violence affected seven of the region’s 10 states, according to the Office of the Resident and Humanitarian Coordinator in Southern Sudan. “Projections for 2010 indicate that the situation is likely to worsen,” the office said in an overview of humanitarian issues, citing lack of resources and capacity among security forces for resolving conflicts. 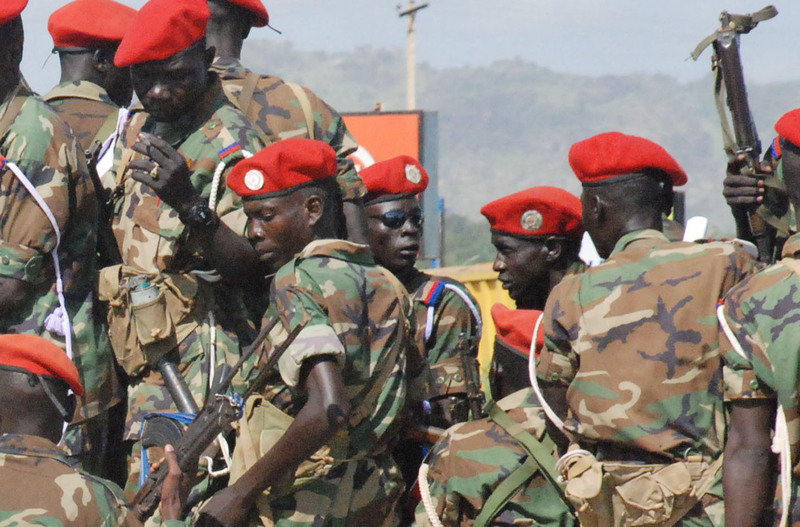 In the run-up to a January 2011 referendum in which southerners will decide between secession or unity, “there is a real, but hopefully avoidable, possibility that the humanitarian crisis will engulf Southern Sudan, jeopardizing the Comprehensive Peace Agreement”, according to the overview. Hunger is also a major problem: the UN World Food Programme (WFP) has warned that the number of people in the south needing food aid has more than quadrupled, from just less than a million in 2009 to 4.3 million this year, because of conflict and drought. Votes will be cast for both the president of the republic and for the semi-autonomous south, as well as for national, southern and state legislative assemblies. Despite recent steps forward on several key issues, tensions remain between the former civil war enemies: the south’s ruling Sudan Peoples’ Liberation Movement (SPLM) and the northern National Congress Party (NCP). “The single most important factor influencing the success or failure of the Sudanese peace process is the nature of the relationship between SPLM and NCP,” UN Secretary-General Ban Ki-moon warned in a 19 January report. “The current atmosphere of pervasive mistrust, in which any gain by one party is viewed as a loss by the other, dramatically undermines that political will, effectively disrupts international efforts to assist, and sets the stage for renewed conflict,” it added. But many fear pressures within the south too: while the top leadership of the SPLM has vowed not to restrict the campaigns of opposition parties, distrust remains high among lower level officials and the armed forces. A splinter faction known as SPLM Democratic Change (SPLM-DC) is seen by many in the south as a proxy force of former enemies in Khartoum – an accusation strongly rejected by the SPLM-DC itself. Meanwhile several senior SPLM leaders have broken party ranks to contest seats as independents against the official candidates - including for influential state governor positions – raising concerns it could create local flashpoints for violence. “We do not want violence, I can assure you that,” said Dau Aturjong, a general in the Southern army and SPLM stalwart, but who is running as an independent for the governorship of Northern Bahr el Ghazal state. Instead, many in the south appear more concerned with the independence referendum slated for January 2011. However, successful elections are a vital stepping stone towards that vote, officials have warned. “Credible elections are crucial for a smooth post-election transition to the referendum,” Ban’s report added.